This detail from a contemporary illustration might as well stand for Hart, about whom little has been known, except that someone of that sign-on surname definitely died. Yet his very identity is in dispute. ‘Thought to be lost – Alive,’ headlined the New York Times, in early May 1912 as it prepared, in common with newspapers all over the world, to regale readers with a classic ‘Gee, whiz,’ story. But its sub-head was an absolute untruth: ‘Another Man Signed on the Titanic Under Thomas Hart’s Name.’ This article shall show why that assertion is not so. Liverpool, Thursday May 9 – Thomas Hart, a fireman who was supposed to have been drowned in the Titanic, has, according to his mother’s statement, turned up alive. The explanation is made that Hart’s discharge book was stolen and that it was used by another man to sign on the Titanic under Hart’s name. This story is instantly beguiling – and has been seized on ever since. Authors and writers have treated the bare facts with the abandonment of… well, drunken sailors. Because it has been retailed in modern print that Thomas Hart lost his discharge book ‘while drunk,’ and then ‘wandered around in a daze,’ being too ashamed or embarrassed, apparently, to return home. A moment’s weighing of these claims should give one pause, but let us return to the grounding facts. The first report came from Liverpool, not Southampton. And the origin was the Merseyside Daily Post newspaper – which sparked all the other pick-up stories. Messrs. Quilliam, of Liverpool, solicitors, acting on behalf of relatives of Thomas Hart, marine fireman, of Liverpool, supposed to have been lost in the disaster, have been informed by his mother that her son has turned up. He told her that he had had his discharge book stolen from him. Someone evidently signed on the Titanic with Hart’s name and credentials, and it was he, and not Hart, who was drowned. What appears in the Titanic lists is the surname 'Hart' and a prefiguring initial, along with his address, which will prove to be key – it was 51 College Street, Southampton. The next most salient point is that no further stories appeared about Thomas Hart. In fact, the original clipping was forwarded to the White Star Line, which refused to entertain the idea that it should amend its records of the dead. (Although it continued to make emendations - in the case of a waiter named Lazar Sartori, as late as August 1915). There is meanwhile no evidence of when Thomas Hart lost his discharge book – or how. Perhaps it was in 1909… what is clear is that Thomas Hart was domiciled in Liverpool, as was his mother. Thomas Hart was obviously seagoing, and had since replaced the stolen book. Here another issue arises – discharge books were not like passports, although they were certainly a comfort for both employers and seafarers alike. Many crew were engaged on the Titanic without production of a ‘Dis A’ and the Titanic lists prove this, being littered with the stamp ‘Dis A not produced.’ Therefore production of such a document was not necessary to gain employment on the liners. Ergo, without any employment motive for theft, the possibility emerges that Thomas Hart simply lost his book. Modern writers have overlooked the Liverpool locale of Thomas Hart, who appears to be a young man, one perhaps slightly daunted by his mother. Authors have written of White Star sending hand-wringing condolences to the ‘dead’ man’s mother at her alleged Southampton home. But Thomas Hart and his mother were always located in Liverpool. Hence any thief in Liverpool, instead of availing of the very many available liners there, would have to journey to Southampton, still a smaller port, to engage on Titanic. And here another problem interposes – the Hart who signed on Titanic produced a discharge book which satisfied the on-board registrar that his previous voyage had been aboard the Olympic, another Southampton-based liner. Suddenly the assumption of recent, opportunistic, and Thomas Hart-related theft must look decidedly shaky. Turn next to the fact that the Hart who signed on Titanic gave his age as 49. This is getting rather old… the man giving a piteous excuse to his mother would not be so old, surely? And if he were – why, we are looking for a 50-ish thief in Liverpool who came down to Southampton, the better to cover his tracks, because no young man (and crime worldwide is overwhelmingly committed by the young) would claim to be 49, surely? How could a youngster pass for that age? But, on the other hand, surely someone of half-a-century’s seasoning would already be settled in their ways and career, not itching to run away? 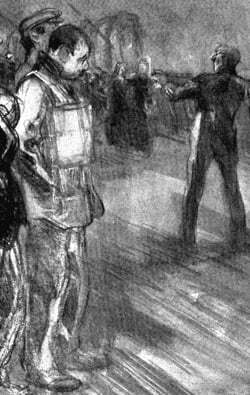 In fact Thomas Hart shows up as a ship’s fireman, still plying the waves long after the Titanic has gone down. Ellis Island records show him aged 39, on a sailing of the Scotian to New York from Liverpool on June 26, 1918. The same man appears again as a fireman aboard the Carmania, arriving in New York on February 11, 1919, from Liverpool. 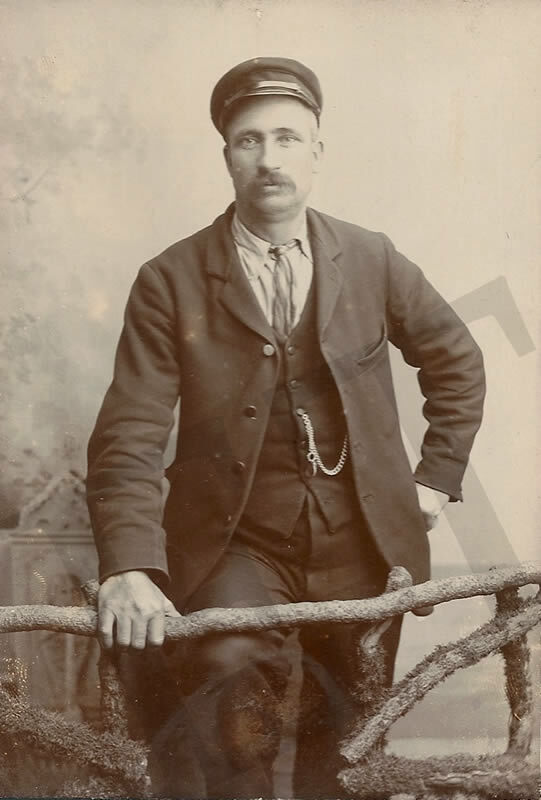 This Thomas Hart was born in 1879, making him only 32 in 1912. Yet the fireman Hart on the Titanic was annotated as being aged 49. The crucial point is this - If the man on Titanic, whoever it be, was really using fireman Thomas Hart’s discharge book, then the age on the Titanic lists should be 17 years younger than it is! Furthermore the later crew manifests suggest Thomas Hart was born in the second quarter of 1879. There's only one such person born in Liverpool in that quarter, and the 1891 census establishes that he was 12-year-old Thomas, son of one 'Thomas Hart, mariner, seas,' who was living at 7 Florence Road, Walton-on-the-Hill, Liverpool. His mother's name was Jane. She was a widow by the equivalent 1901 population snapshot, her husband appearing to have died at sea. Thomas is now a 22-year-old bricklayer, and the family are living at 156 Rice Lane, in the same suburb. Seaman's widow Jane, 55, is alone with her daughter in the 1911 census at the same address. Mariner's son Thomas has given up bricklaying and taken up the calling of his late father, a vocation that ship's fireman Thomas Hart Jr will retain in the years after Titanic. The widow has already lost one seafarer by 1912, and fears another blow. Jane thus fulfils the newspaper profile of the concerned mother - with no mention of any anxious father. The bare facts are telling us something. And now, with the 1911 British census, so is the address of 51 College Street. Here, a year before the disaster, we see a 52-year-old ship’s fireman named James Hart (not ‘Thomas’) living as a lodger with crane driver Joseph Summers and the latter’s wife and daughter. 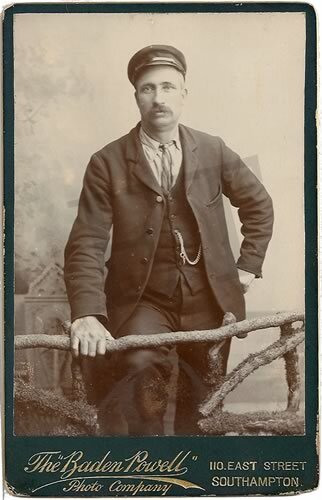 James Hart, ship’s fireman. Not Thomas – and so it was always speculation to say that because Thomas Hart walked in alive to a house in Liverpool that thought him dead, that ‘someone evidently signed on the Titanic with Hart’s name’ in Southampton. That is not evident at all, and there is actually no evidence for it whatsoever. What we do know is that many periodicals, in producing lists of crew in the wake of the disaster, interpreted the initial before the surname Hart in the actual Titanic crew manifest as a 'T'. It could as easily be a 'J.' Look at it for yourself – the entry immediately underneath is that for a Thomas Hunt. But the point is that lists in such as the special Graphic commemorative indicated that a ‘T. Hart’ was lost. This was interpretation of the manuscript lists. In the absence of Thomas from Liverpool, meanwhile, the concern of the local Mrs Hart can be understood. She has not seen her son in some while, and it is she who contacts the solicitors - initially trying to find out more information. Her assumption is wrong – for her son later walks in. She has to once more contact the solicitors that she wrongly alerted, and she provides an excuse for her misapprehension of his death, lest they think her a gold-digger. The solicitors leak a good story, but it has already been erroneously spun. The newspapers love it, and never question any detail for a moment. Whether or not Thomas Hart ever lost a discharge book is a red herring. It does not follow that anyone ever signed on Titanic as ‘T. Hart,’ or that this person was an impostor wielding the specific Discharge A book of Thomas Hart of Liverpool. In fact, it is most likely that James Hart, verifiably of 51 College Street, used his own discharge book. And, when signing on, lopped a few years off his actual age. The census would give him as 53 in 1912. He claimed to be 49. This is a recognised pattern of minor deception, and is consistent with James Hart, and not with any ‘Thomas Hart.’ In fact, Thomas Hart’s mother is more likely to be of that age. Importantly, consider what happened next. Peter Engberg-Klarson has pointed out on ET an obituary notice from the Southampton Daily Echo, of April 1913, where reference is made to ‘James Hart, 51 College Street,' remembered by his mother and family. Photo courtesy of Hart family descendants. In 1912, the sisters of James (per censuses) were 59 and 57 respectively. James was still single at 53 – which explains in a way the lack of publicity for him. There was no immediate family to grieve. Earlier it was pointed out that it is a truism that most crime is committed by the young. To believe that James Hart did not die (but someone else did instead, using the name ‘Thomas Hart’) would require one to believe that the subsequently-living Southampton-based James and his two married sisters ‘of a certain age’ engaged in a dangerous fraud, to which they drew attention by inserting memorial notices to a James Hart who had never been on the Titanic. It is true that Liverpool-born ‘Thomas Hart’ could have been living at 51 College Street, Southampton, but temporarily absent on census night, April 2, 1911. But the coincidence of a Manchester-born man, also named Hart, also a ship’s fireman, and also boarding there, would be too much. For a James Hart to have an unrelated housemate named Thomas Hart would be quite remarkable, with the coincidence becoming extraordinary if both should have the same occupation. But for one Hart to steal another’s Dis A book, and the remaining living James to presumably be forced to adopt the persona of the deceased Thomas - in order to make a few shillings to share with his sisters - would be labyrinthine indeed. The answer is staring us in the face. It is the colourful story that must be reluctantly discarded. The fireman who died on the Titanic was 53-year-old James Hart, born in Manchester in 1858, and resident of 51 College Street, Southampton. He kept his Discharge Book. It’s the Thomas Hart anecdote we must resolve to lose – while sobering up to the reality that his mother Jane jumped to conclusions. Her son never had anything to do with the Titanic, and it is a compound leapfrog of the imagination to seek to undo the original mistake through a complex notion of substitution. That there was a man named Hart on the Titanic there is no doubt. J. Hart of 51 College Street, attached his signature to the ship's articles, and the inference was that he had sailed under false pretences. The suggestion that he used another man's book has given intense pain to the members of the family, who indignantly deny the statement. Mr Hart has sailed out of Southampton for over twenty years. He served the Union Castle company and the R.M.S.P. before transferring to the White Star Line, and we are assured that his discharge book was a good one. There was, therefore, no reason why he should hide behind another man's charcter, and that he made no attempt to do so is proved by the fact that he gave his College Street address when signing on. Had he assumed the name of the Liverpool man, he must also have given the Liverpool address of that fireman. J. Hart was a member of the Britihs Seafarers' Union, and we hav ebeen asked by the members of his fmaily to publish there facts in order that the dead might be vindicated. Meanwhile what of Thomas Hart after his tangental role in the tragedy? It turns out he lived for another quarter century, dying on March 5, 1937, at the same Rice Lane in Liverpool. His death certificate shows his own address as 18 Herbert Street, Walton, meaning that he was probably being nursed by relations in his final illness. He does not appear to have married or had children. Thomas Hart, whose occupation is given as 'marine fireman,' succumbs to a respiratory illness - like so many of his ilk - almost certainly weakened by decades of inhaling silicate particles in the stokeholds of the great ocean liners, and likely compounded by a smoking habit. He dies of broncho-penumonia, aged 56 - probably twenty years before his time, even if 25 years have passed since his walk-in part on a world stage.